Greetings supporters and listeners of D.C.’s only Jazz and Justice Community Station. The Local Station Board (LSB) is meeting on Wednesday, November 14th at 6:30p.m., in the Tenley-Friendship Public Library located at 4450 Wisconsin Avenue, N.W., DC 20016. Community Comment begins at 7:30 p.m. Please come and ask your questions to Management and the Delegates who were elected to represent you. We are meeting at the Library because of construction at WPFW offices. The WPFW Management Assessment and Search Committee (MASC) is in the midst of the process to hire a permanent Program Director. We would like to hear from you: what should the LSB look for in its search? Please come to a listening session of the MASC on Saturday, November 17th from 10:00 a.m. to noon at the Takoma Park Library located at 416 Cedar Street, N.W., DC 20012. 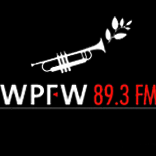 The National elections might be over but the WPFW Local Station Board Election is still going. Members should be receiving your ballots in November. Please listen for candidate statements on the air as well as on the WPFW website. Then complete and mail your ballots in electronically or by using U.S. mail in order to achieve quorum. prefer at least 5,000 SF but will consider spaces greater than 3,500SF. desiring total monthly payment not to exceed $12K/mo including build-out and utilities. The Empire State Realty Trust (ESRT) lawsuit against Pacifica for tower rent due from WBAI has been settled. The 2018 Pacifica National Board leveraged assets and used a loan in lieu of filing for bankruptcy to settle and pay a lesser amount. The Board also relocated the transmitter and antennae to another location paying a reduced lease. Please help fundraise for WPFW radio. The Station makes a huge difference in arts, culture and social justice issues in the DC area and around the world – http://www.wpfwfm.org. Please consider this in your year end giving. Please visit https://razo.io/qSVR75 to support WPFW Radio. This is a fundraiser started by folks on the WPFW Local Station Board as a Friends and Family campaign. Please help exceed their goal. Please ask your friends and family to also support your favorite radio station by visiting the above fundraising page for WPFW. Thanks! Happy Holidays and Happy New Year! 1000 U St., Washington, D.C.
WPFW’s Local Station Board is again sponsoring the Annual U Street Jam. Musical selections will be provided by your very own WPFW Programmers James Funk, Lance Reynolds, Steve Hoffman, & Beverly Lindsay Johnson, & Slow Roll! Food provided by Torries Restuarant & Cash Bar will also be available. All proceeds to benefit WPFW. Come Out Dance the Night Away and Support WPFW!